In 1995, Jan Van Tol reported about three females of this species in his field trip to Bach Ma National Park, and based on the characteristic of wing venation of females he believed that it is unknown species he did not name it as a new species for science cause of lacking male. Latter Haruki Karube, Akihiko Sasamoto and Matti Hamalainen did the description of this species independently base on males and females of the species that collected from the same locality and Bao Loc Province. Finally, three of them cooperated to publish the description of the species in 2006, 10 years later after Jan Van Tol's report. Name of the species specifies its blue face. 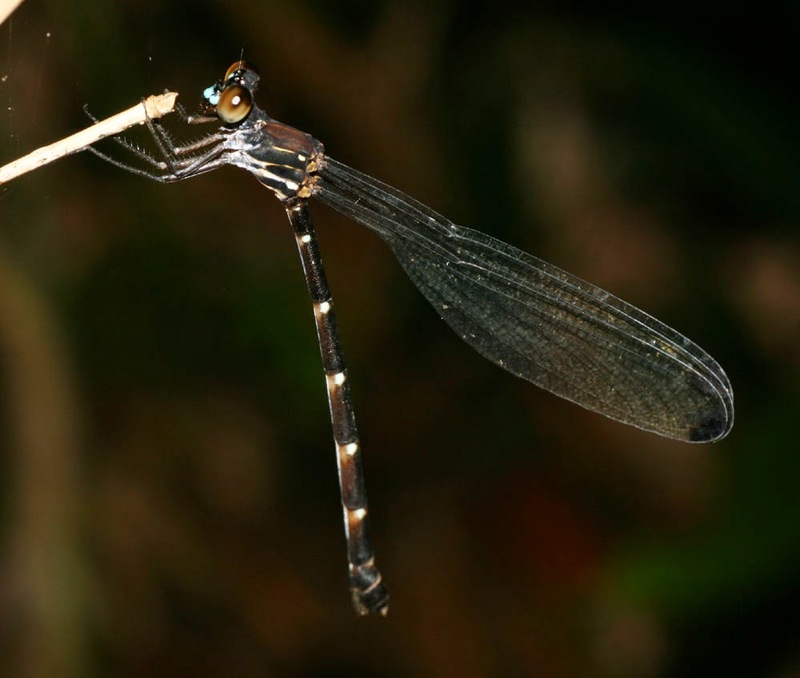 They are medium size damselflies head is typical with brighten cream bluefish marking of their face. Body is black brownish in general with cream yellowish marking on thorax and abdomen, legs short and robust. Wings are hyaline with an apical fate dark spot, they usually fold wings at rest, and they rarely open the wings as resting. They were found in clear streams in tropical forest of Limestone Mountains, in Bach Ma - Thua Thien Hue and recently were recorded in Hon Ba - Khanh Hoa and Lam Dong - Bao Loc. Although they are very common at the habitat sites but they have only been known in the centre and south of Vietnam. 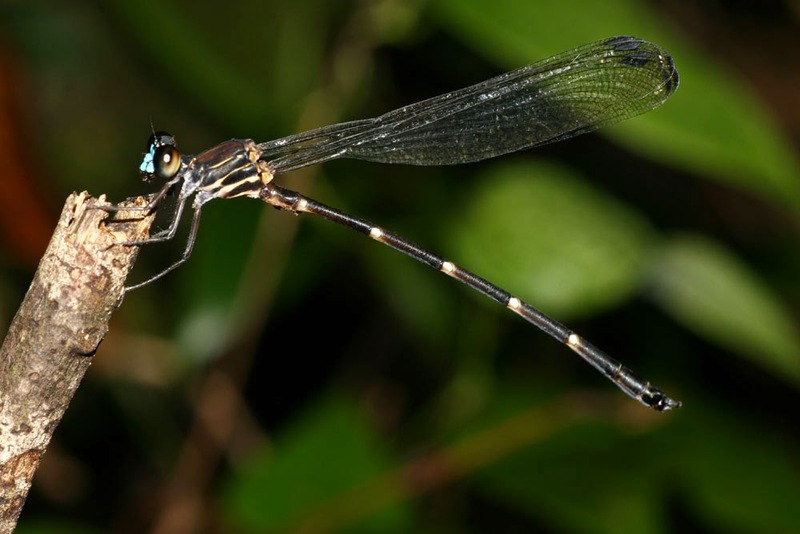 They are weak flied damselfly, and do not fly too far from the breeding sites, the mature forms usually fly in shade of the forest but occasionally they can be found near waterfalls, in sunshine.